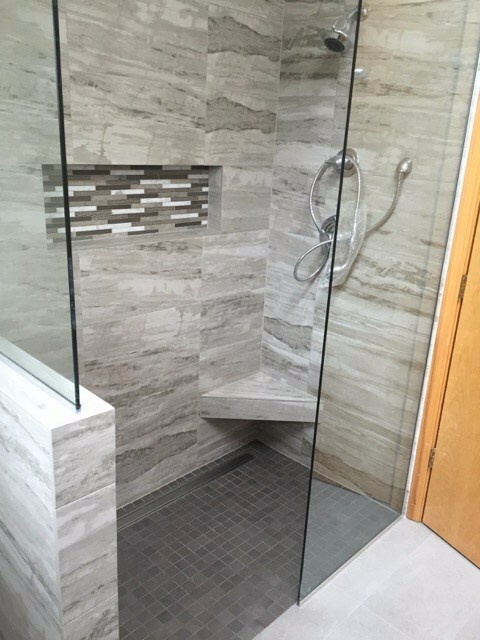 This custom shower is not only beautifully updated, but also ADA accessible. 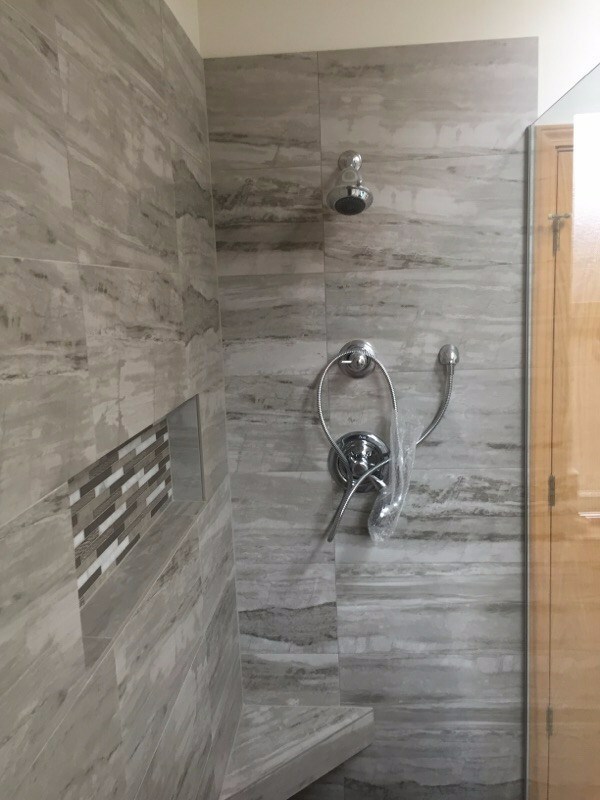 The owner can access the shower in his wheelchair thanks to a curbless entry. 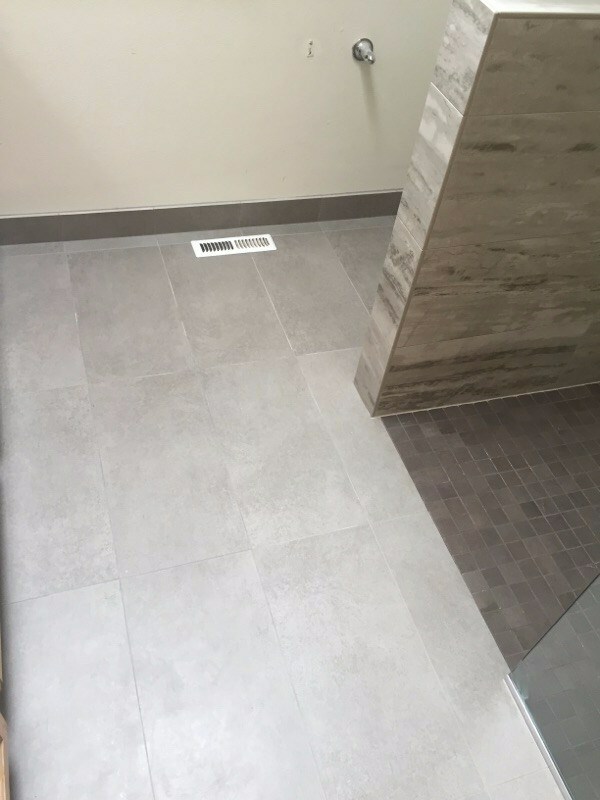 A curbless shower means easy wheelchair access.